Integrators boost rates across all labor categories with installation labor hourly rates rising a healthy 13% over 2 years. When pricing a custom installation project, labor costs for design, installation, programming, project management and service are usually included. However, business models vary from integrator to integrator and it is extremely challenging to know how much to charge in order to maintain profitability. Am I charging too much? Am I charging too little? What is the competition charging? Am I going to break-even? These are questions many integrators struggle with on an ongoing basis. 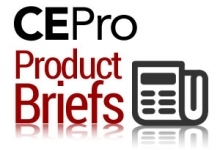 For a second time, CE Pro recently conducted a market research study dedicated to custom integrator pricing. Our 2017 Study reveals that labor rates over the past two years have increased by at least 7 percent across all labor categories with installation labor increasing by a strong 13 percent. That&rsquo;s a nationwide average installation/integration rate of $95.98 per hour. To be sure, data from the study is another strong signal of the vibrancy of the residential integration industry. It also indicates that labor rates are much more vital for CE pros&rsquo; profitability than in years past. The study further shows that while labor rate increases were consistent across the country; geographic region continues to influence rates. For example, the region in which labor rates are the highest is the Pacific Coast with an average charge of $103.56 per hour for installation while the East South Central states of Kentucky, Tennessee, Alabama and Mississippi only charge $78.93 per hour. Similarly years in business and service area are also big factors in determining rates. Find out how your labor rates stack up. Get your free copy of the 2017 CE Pro Labor Rates Study today.